December 14, 2012  Means testing Medicare is one of the few areas where Democrats have shown a willingness to even consider the subject of spending less on the program. But not everyone supports that idea. December 12, 2012  Democrats are worried that cuts to the program will go beyond the impact on the people it serves. It will also affect the Affordable Care Act, which calls for expanding Medicaid to as many as 16 million more people. 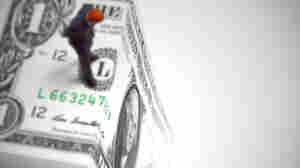 The states are watching closely because the federal government has promised it will pay most of those additional costs. 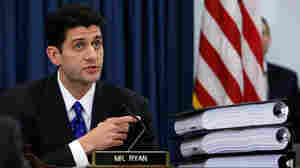 October 25, 2012  With January's fiscal cliff on the horizon, Medicare and Medicaid face some serious budget woes. Two studies and a lawsuit could shape their fate. October 17, 2012  As the long, slow demise of company-sponsored retiree health insurance continues, some firms are contracting with Medicare exchanges to try to ease the transition for their former employees. October 16, 2012  Medicare is emerging as the most important health care voting issue — more important than even the Affordable Care Act. And with 10,000 baby boomers qualifying for the program every day, whoever wins the election will have to find some way to rein in spending. 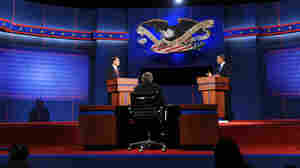 October 12, 2012  Fact checkers have raised some flags about some of the claims the candidates made regarding Medicare. 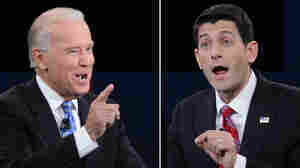 Ryan tried to insist that his Medicare plan is bipartisan, while Biden at one point may have confused Medicare with Medicaid. 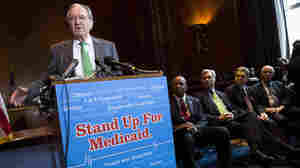 August 13, 2012  Medicaid is a campaign issue for the first time in years. Republicans cite studies to say the health care program for those with low incomes has failed, and they want to turn it back to the states. But Medicaid researchers say those studies don't portray Medicaid accurately. May 10, 2012  The government has identified hundreds of hospitals where Medicare patients are incurring especially high or low bills. Hospitals around McAllen, it turns out, aren't as terrible as they were made out to be, according to Medicare's calculations of how much it spent for the average patient from three days before admission to a month after discharge. If The Health Care Overhaul Goes Down, Could Medicare Follow? April 24, 2012  Health experts warn that the Medicare system is so intertwined with the Affordable Care Act that if the Supreme Court strikes the law down, "it takes everything with it." March 22, 2012  The health care overhaul law that President Obama championed and Republicans rejected turns two on Friday. Ahead of the big day, we asked for questions from our audiences online and on air. NPR's health policy correspondent Julie Rovner has the answers. 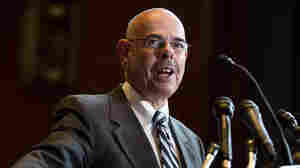 March 7, 2012  Marilyn Tavenner is the acting administrator of the Centers for Medicare and Medicaid Services. Matt, assistant administrator at Jackson Purchase Medical Center in Mayfield, Ky., is her son. 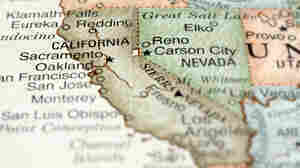 February 22, 2012  California patients and doctors had sued to block the state's decision to cut Medicaid payment rates. But instead of ruling on the matter, the U.S. Supreme Court sent the case back to a lower court, saying "changed circumstances" in the case warrant a different process for deciding it. December 22, 2011  Liberals reacted with anger after PolitiFact charged Democrats with the "Lie of the Year." Have the fact checkers damaged their cause? December 14, 2011  Patients admitted repeatedly to hospitals can be a big source of revenue and a big quality problem. 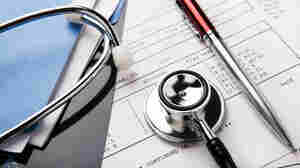 Soon Medicare will penalize hospitals that readmit too many patients too often. Hospitals are trying some new approaches to care to get ready for the change. November 23, 2011  Marilyn Tavenner, a nurse, is set to succeed Dr. Donald M. Berwick as administrator of the Centers for Medicare and Medicaid Services. Tavenner is the agency's principal deputy administrator and will serve on an acting basis as administrator during the confirmation process.